1) Naby is finding his way? He was a player that every team was after but eventually, Liverpool managed to get his signature, despite having to wait a while before he turned up at Anfield. Fabinho had a cracking game I thought, his timing of tackles is almost always perfect. He’s risky at times but succeeds in breaking up play and frustrating the opposition. 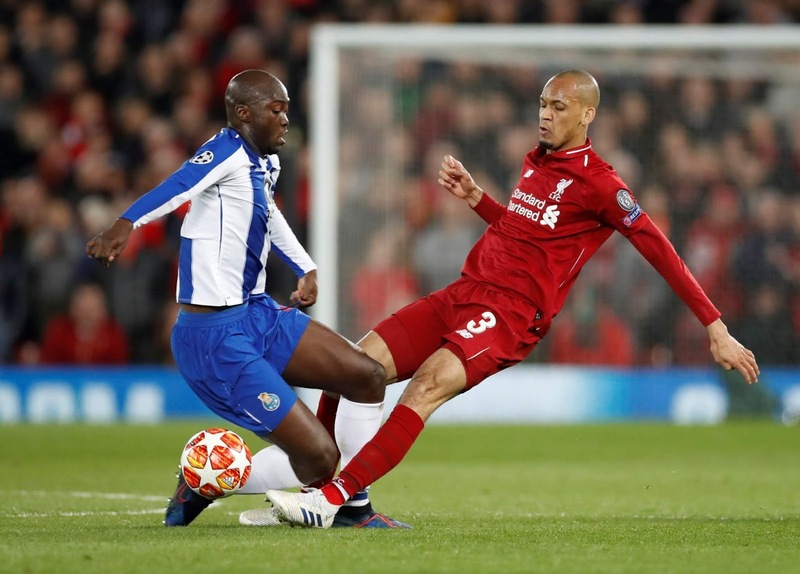 Porto had some good chances last night to break quickly on the attack but Fabinho was there. 3) Two goals isn’t enough? You know Liverpool are doing well when you’re sat there as a fan wishing for a third or fourth goal. Let’s face it, 2-0 in Europe is a great score, especially thanks to the clean sheet but a lot of fans like myself wanted even more, just a bit of a safety blanket. We could have made it more too particularly when Sadio Mane saw his goal ruled out as being a fraction offside. 4) Dejan Lovren back as an option? Lovren I find a very strange one. I actually rate him as a defender I just think he’s prone to losing his head a bit. Alongside Virgil though that decreases because the Dutchman is constantly screaming his orders keeping his back line in check. I thought Lovren did pretty well last night when called into question. It will be interesting to see if he’s selected again over the remaining matches. It may have been a European night last night but Klopp and the lads will have definitely had one eye on Chelsea at the weekend. Arguably Liverpool’s toughest match left in the race. With City running directly into a fixture pile up and having lost to Spurs last night, this next phase of games could be crucial. I am off to Italy for two weeks so you won’t see me on the blog for a while (probably on Twitter though haha) up the Reds!! !